Come in and chat to Andrew and the team of passionate travellers – Sierra & Halena and Annie. With 25 years in the Travel Industry with personalised service and travel expertise that customers have come to expect, trust & rely on, with the same familiar faces and same great service, everything you have always loved and more. We are committed to sharing our combined travel knowledge and experience with you. helloworld Coffs Harbour Park Beach Plaza is a member of ATAS (AFTA Travel Accreditation Scheme), which affords complete consumer protection to our valued clients. If you’re enrolled in American Express Membership Rewards, visit helloworld Coffs Harbour Park Beach Plaza and enquire today. We can help you with all your travel needs and if you have Membership Rewards points, you can redeem them to pay for your next getaway when you book at our agency. 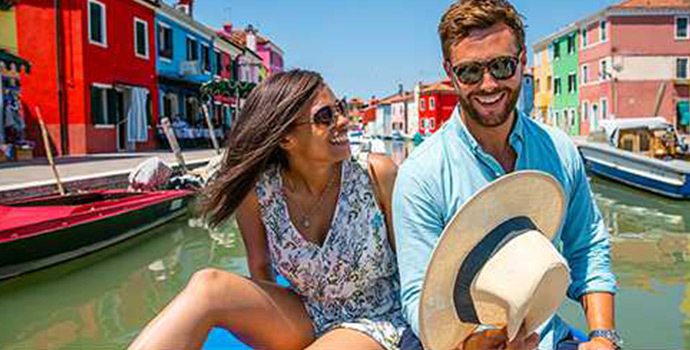 Your points can be used to pay for all or part of any travel booking, including the best available fare with any airline, hotel, cruise line, car hire, holiday package and even travel insurance and foreign exchange. Honeymoons - For that extra personal attention appointments are available.